Sumaya was born prematurely in a nearby hospital in Addis Ababa and spent a week in an incubator. He also had a cleft a cleft lip and palate. Sumaya’s mother saw an advertisement for Yekatit 12’s Cleft Program on TV. 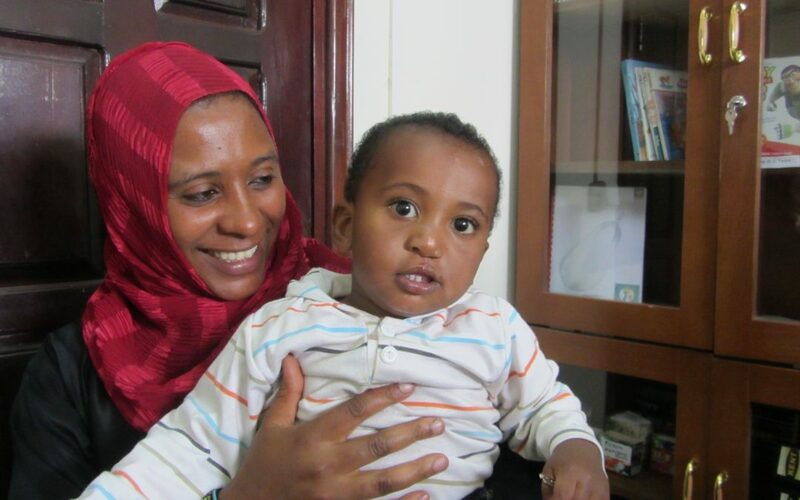 At three months, Sumaya and his mother visited the hospital for intake and follow up. At 9 months old, his cleft was repaired. In early October 2012, when he was a year and three months old, his palate was repaired. The family will continue to visit the hospital for follow up care. There is a lack of specialized feeding bottles for cleft patients in Ethiopia, as Hirut explains in the above video. Sumaya’s mother, however, was able to source some bottles and donate them to Yekatit 12 Hospital, where they are used as teaching tools.